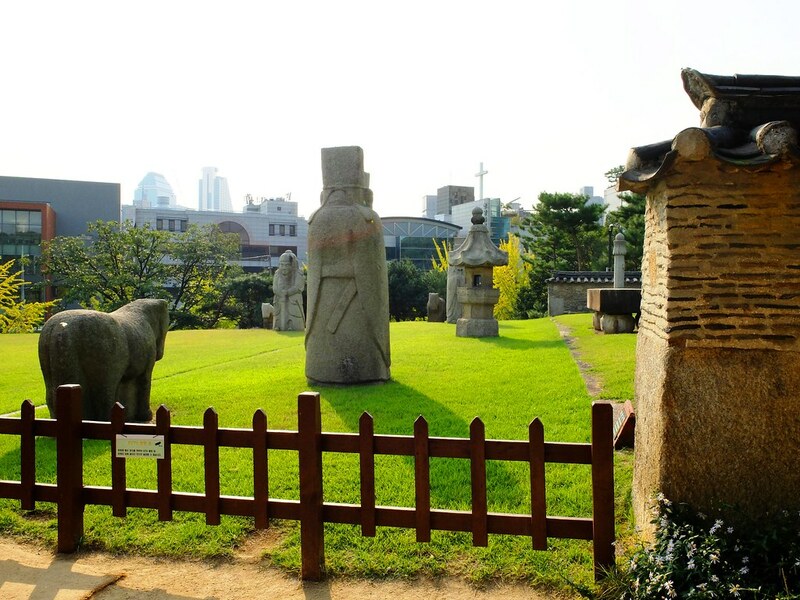 Few meters walk from Seolleung Station is the seldom visited Seoulleung and Jeongneung or known as Seonjeongneung, one of the many UNESCO World Heritage recognize site in the city of Seoul. 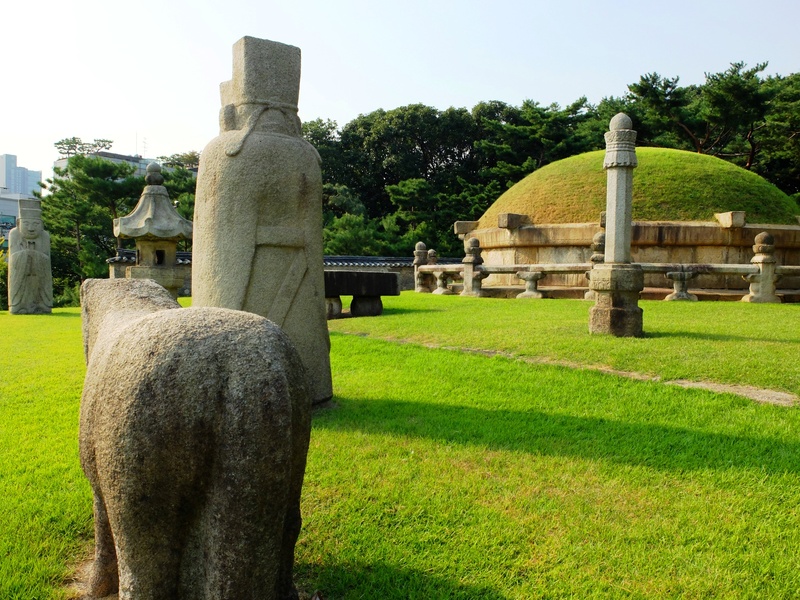 Seonjeongneung houses the burial mounds of King Seongjong, the 9th king of Joseon Dynasty, his second wife, Queen Jeonghyeon, and their son King Jungjong. 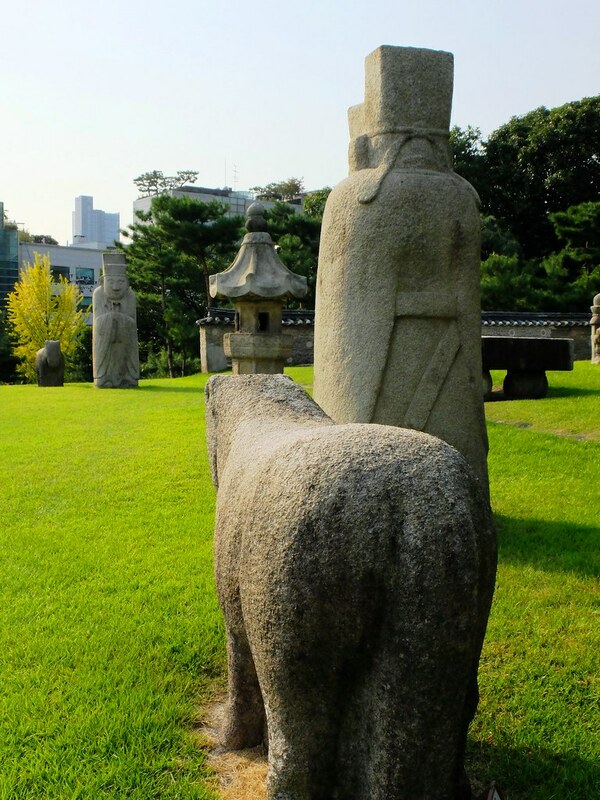 In comparison to the other Royal tombs of Joseon Dynasty, Seonjeongneung is small in size and the one closest to the city, thus offering a good alternative to those wanting to see the huge stone guards surrounding the royal tombs. 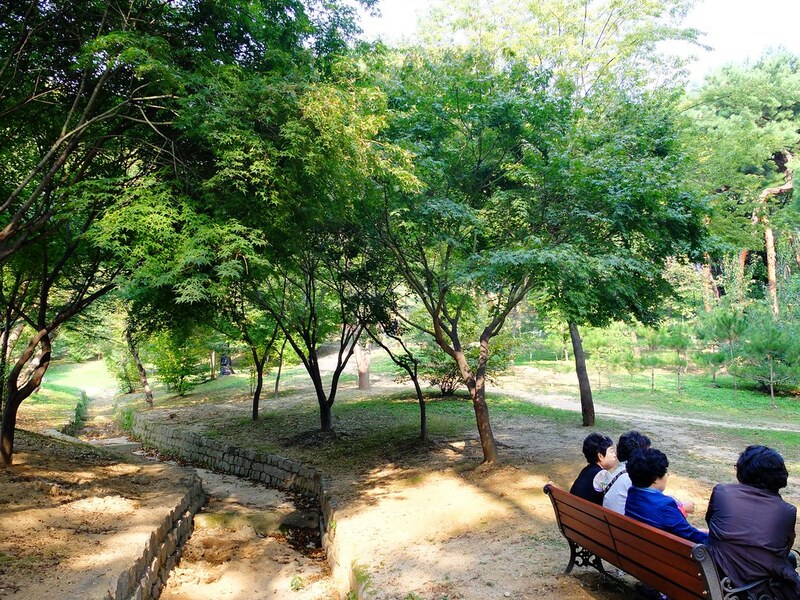 Seonjeongneung in a way is comparable to a local park visited by office workers during break or family for a weekend stroll. 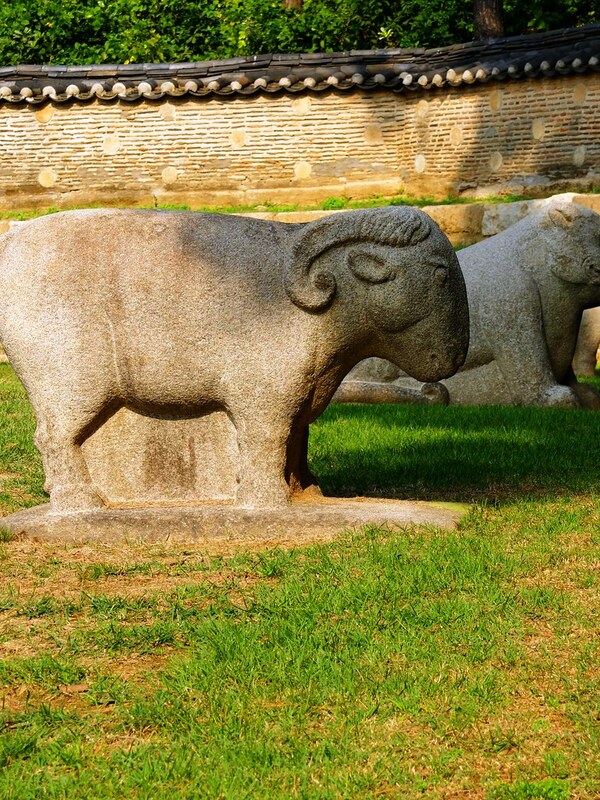 However, there are few decorum that is expected from visitors. 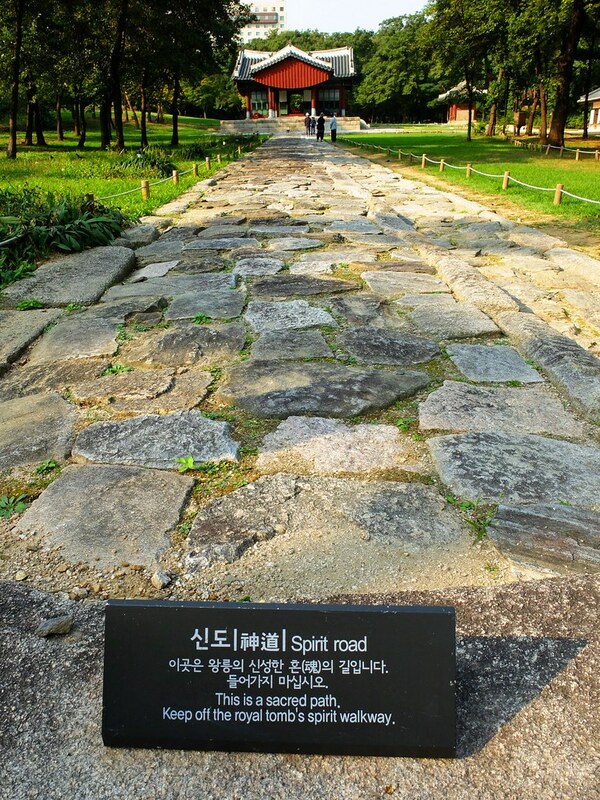 Take for example when entering the premise, from Iljimun, a red gate decorated with yin-yang symbol, it is advise to take the lower stone paths that leads Jeongjagak (a house for sacrifice before a royal tomb) instead of walking along the elevated main path called the “Spirit Road”, a sacred pathway dedicated to the spirit of the dead King. 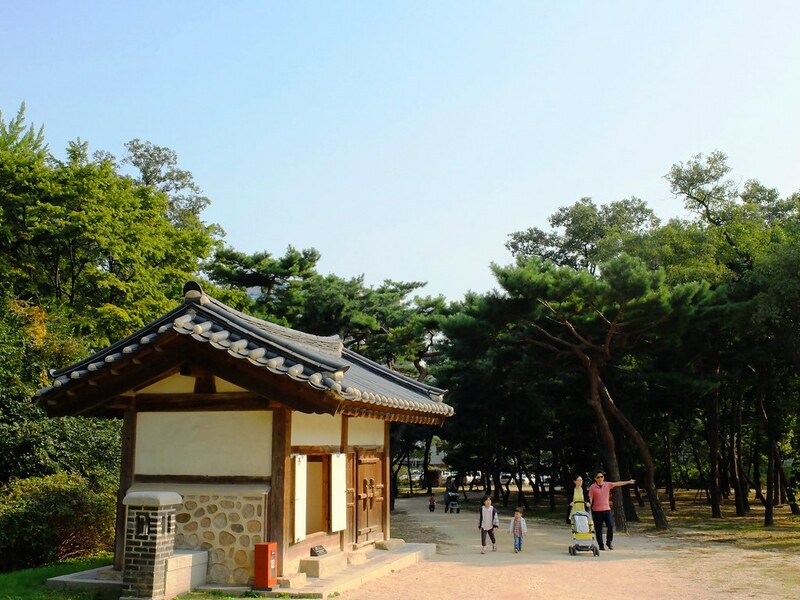 Next to Jeongjagak is a pavilion (Seolleung) and the burial mound of the King. 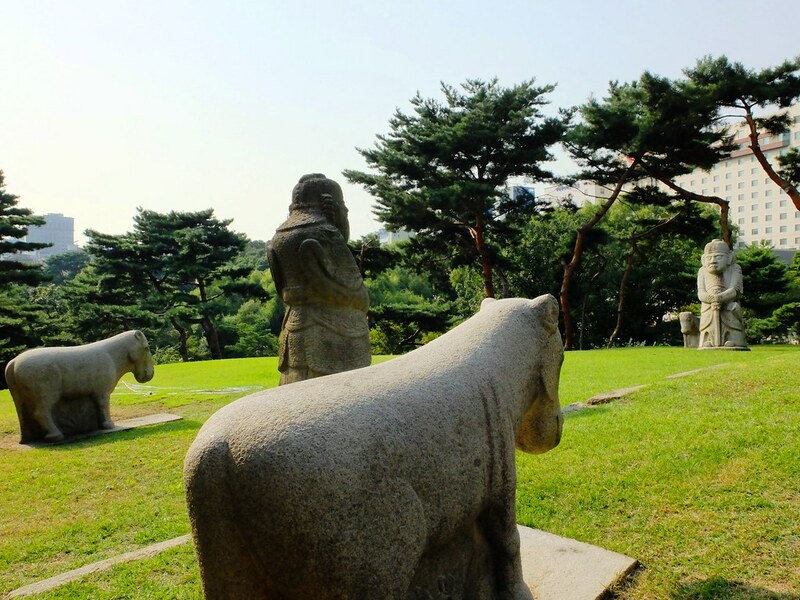 The royal tomb is surrounded by huge stone statues of warriors and twelve zodiac animals. 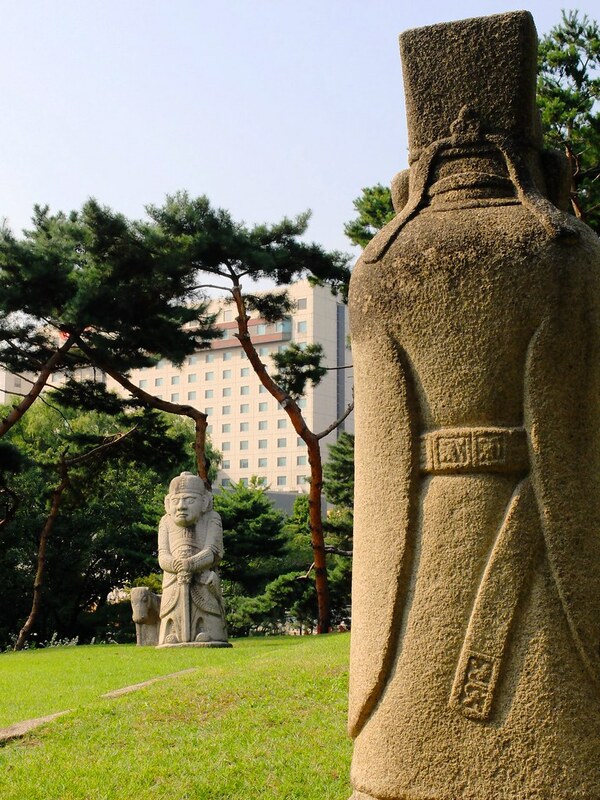 The same can be seen at the burial mound of the Queen Jeonghyeon. 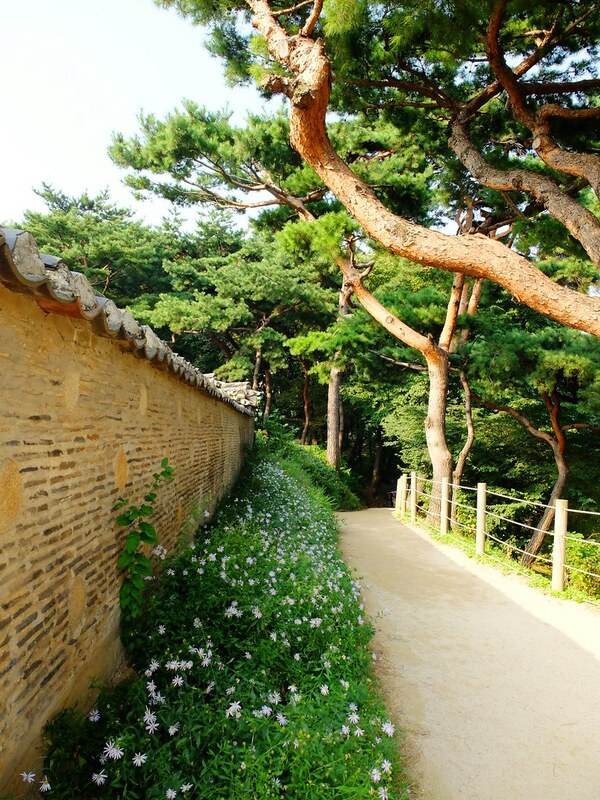 The tomb are secluded by walls and rails, obviously off limits to visitors. 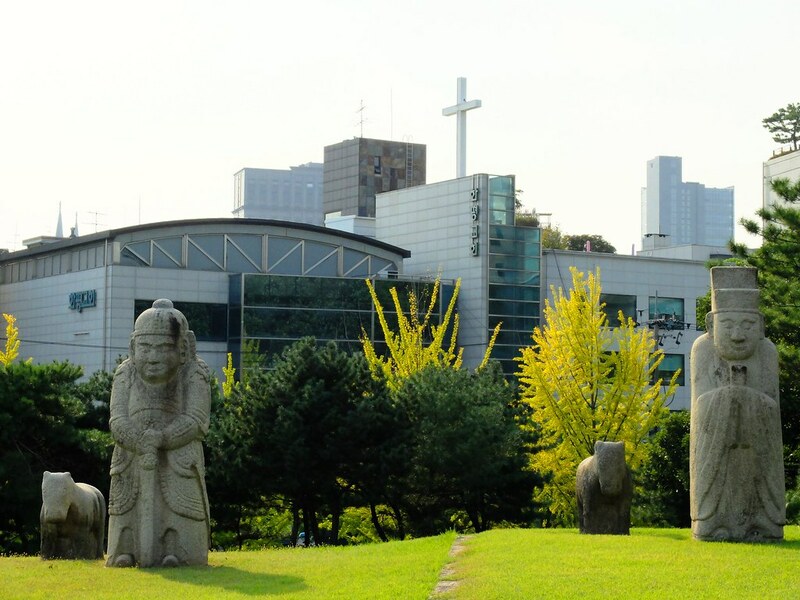 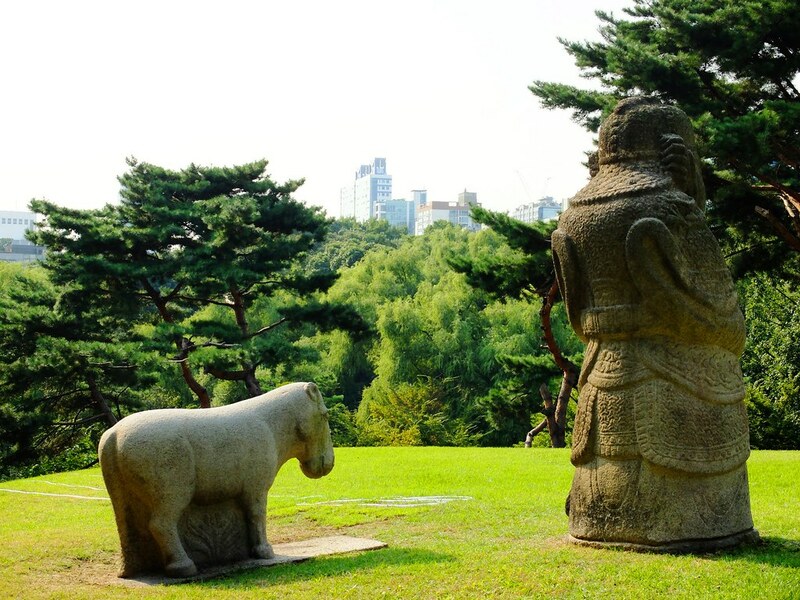 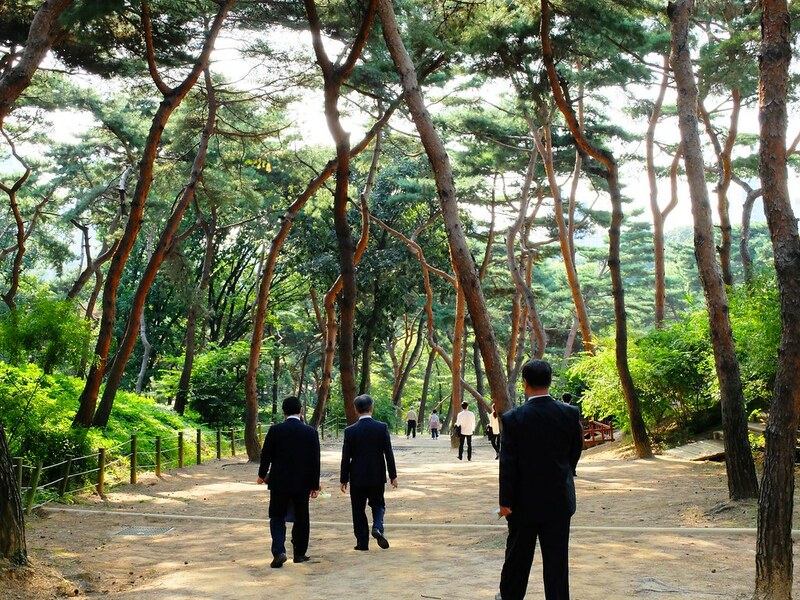 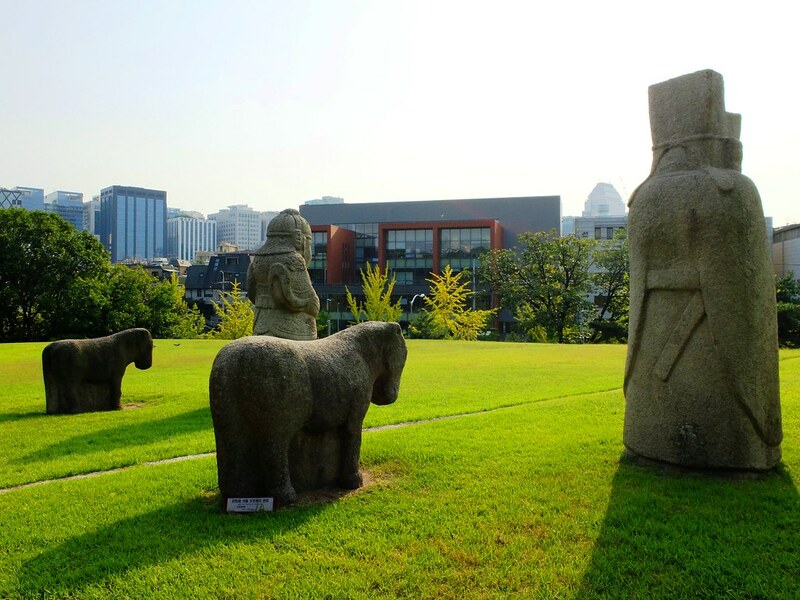 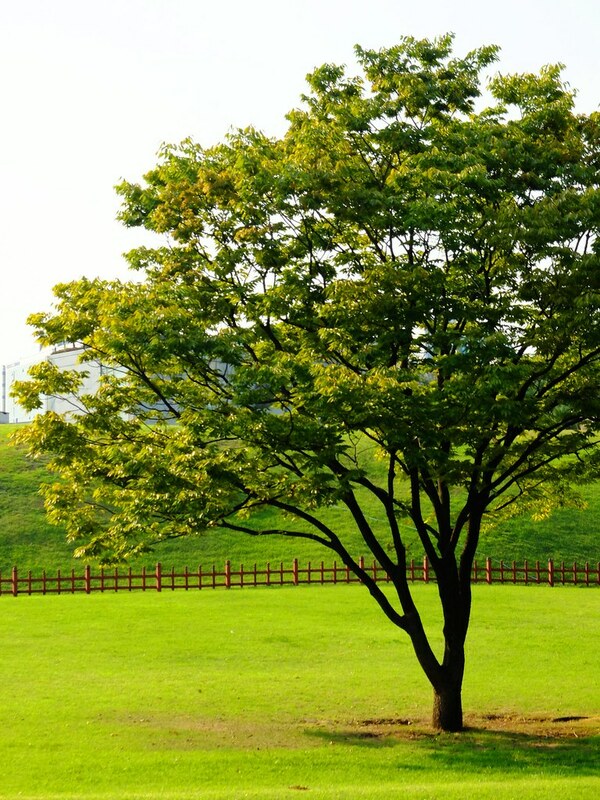 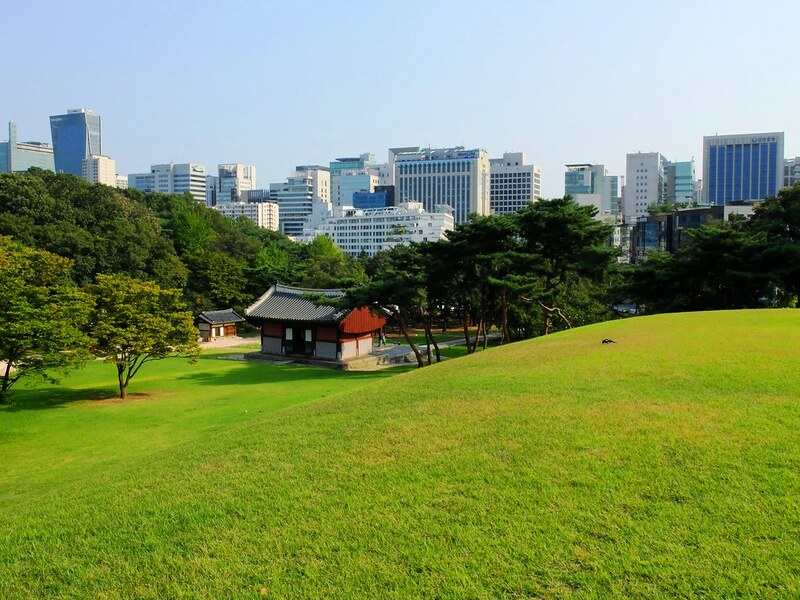 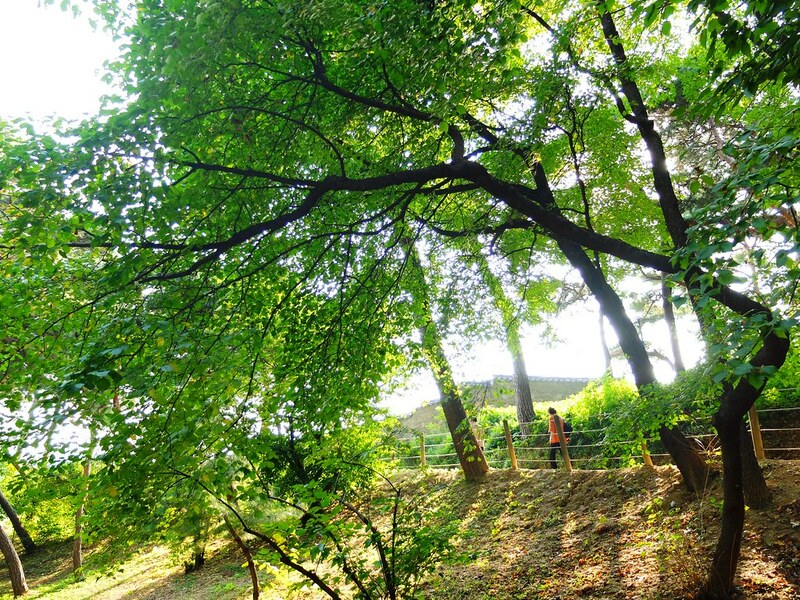 An alternate name used for Seonjeongneung is Samneung Park, which in a way describe the number of royal tombs inside the premise (three) and in a way correspond the wide green open space, a contrasting feat against the surrounding skyscrapers of Gangnam-gu.